← Is Mike Huckabee A Perv? In light of Megyn Kelly’s interview last night, it looks like the Duggar’s show “19 Kids and Counting” has attracted some brand new sponsors! 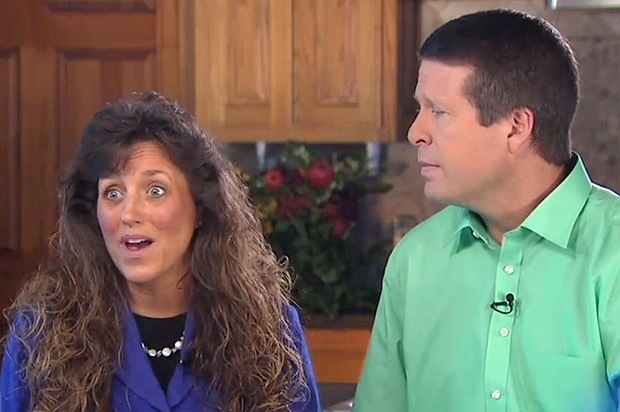 How did Josh Duggar’s parents catch on he was molesting all the kids? When they asked Josh to show them his hands, he had a sister on each finger. What’s the most overused phrase in the Duggar household? What’s the second most overused phrase? I’ll add to these as they come and TM for them too!